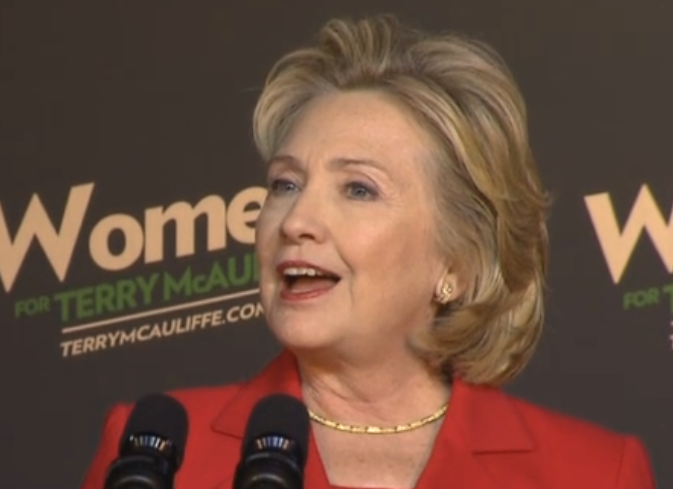 Former First Lady and Secretary of State Hillary Clinton went stumping today for Virginia Gubernatorial candidate Terry McAuliffe. There were many nonverbal and paralanguage qualities of her speech which signaled Mrs. Clinton's intention of running for Presidency in 2016 - some of which are described below. At 0:47, Hillary Clinton continues, " ... What kind of leadership is required to keep in great ... "
At 0:50, the former first lady displays a prolonged eyelid closure as she says the word, "... required ..."
This prolonged closure as she says this strongly suggests she is referring to herself, not Terry McAuliffe. 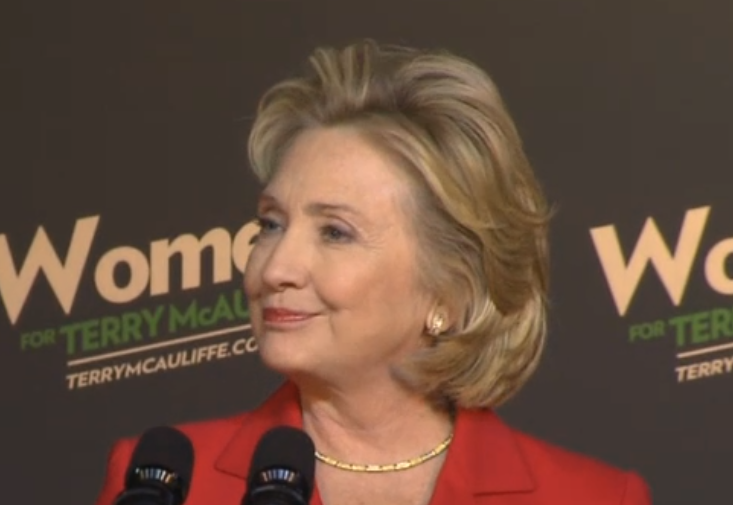 At 0:52 Hillary Clinton displays a partially suppressed smile. Seconds later it blooms to a full "Duchenne" aka sincere smile as she is unable to squelch her joy. 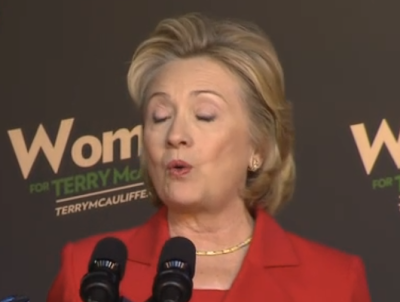 At 0:53 we see the former Secretary of State maintain an open mouth as she draws out a pause - while inhaling. Her deliberate pause facilitated by this prolonged inhalation after this specific verbal delivery in order to allow an applaud to crescendo - is another indicator that it was herself to which she was referring rather than candidate McAuliffe. No doubt about it - Hillary Clinton is running for President in 2016. What other body language tells did you see in this video? Nonverbal Communication Analysis # 2202: Barack Obama and Hillary Clinton and the Body Language of the "Fig Leaf"